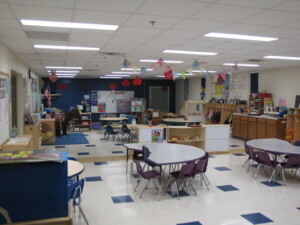 Freeman Public Schools provides a 3.25 hour preschool program for 4 year old children, where all children learn and build confidence through play. Our half-day program provides opportunities to socialize and develop many pre-kindergarten skills such as positive social-emotional skills, letter recognition, beginning number sense, and development of fine motor skills for handwriting. Freeman Preschool is a wonderful place to be, and we encourage you to call or email with any questions that you might have concerning our program.